Tell us what you are eating. I made crabs and shrimps pan fried with shrimp paste. 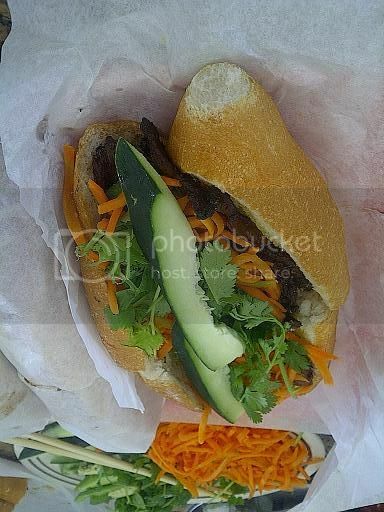 Yumm, that looks so good Linh! That has got to be the most appetizing homemade crab I've ever seen. I ate leftover fried pork fat again. fried pork fat? interesting it isn't do kho? Thanks. 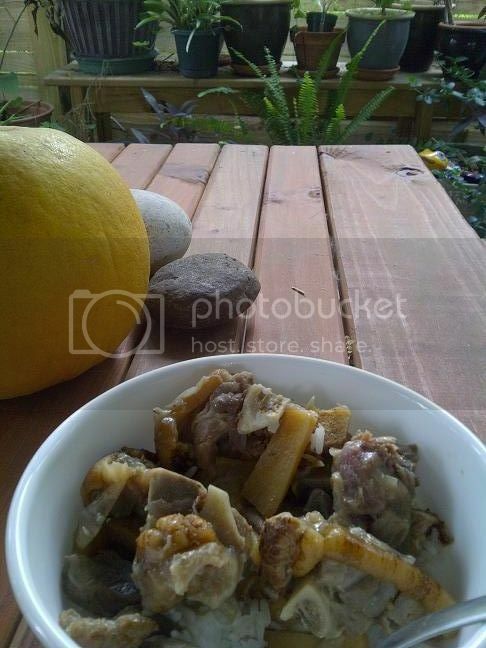 :)Your bowl of pork looks like a heart attack. 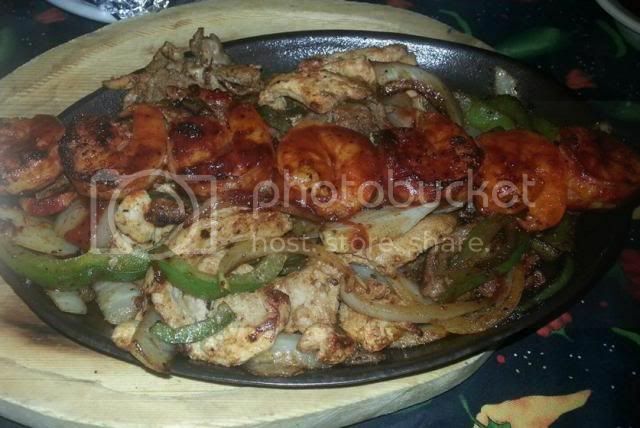 Qu your food looks soo yummy. I pan fried the crabs and shrimps with shrimp paste sauce and garlic. gaden...do you not care about atherosclerosis? My blood pressure and cholesterol level is normal. It seems like eating raw fat doesn't affect me. I think it just doesn't digest and goes out the other end. 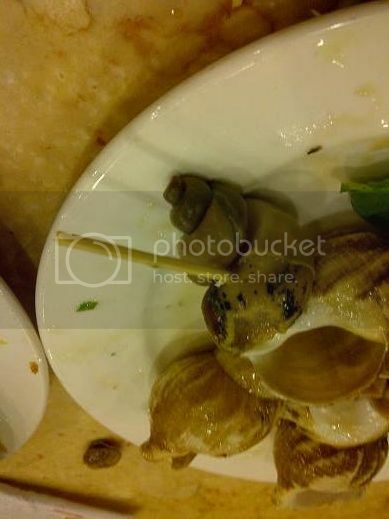 I just had giant killer snails yesterday. It's kind of rubbery but I just kept on eating them. I had maybe 20 of them. wow Gaden those snails look so good. I had those and they are huge! 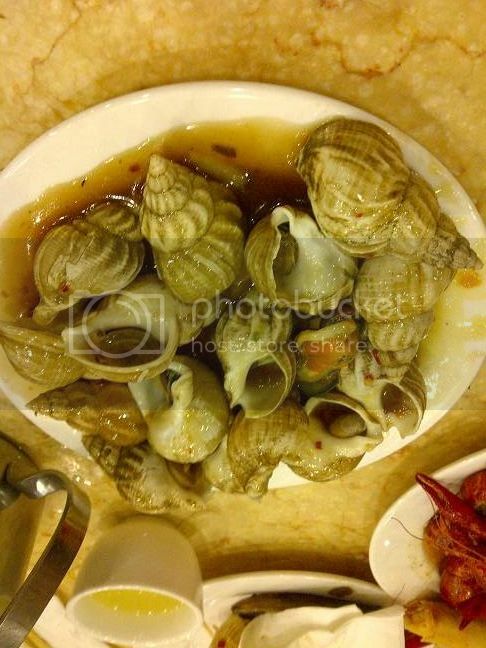 I like the smaller sea snails in coconut lemongrass juice. 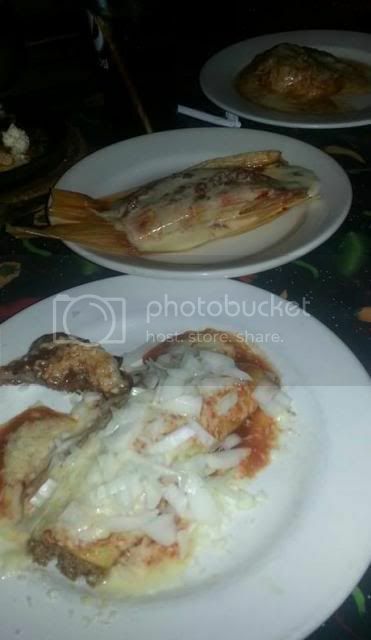 Yeah that's one of my free for all seafood grab all dinner at a buffet. I had crab with tamarind sauce, cokeetail shrimp, clams, mussels, shushi, crawfish, fried shrimp, steamed fish, salmon, and a bunch of other things. 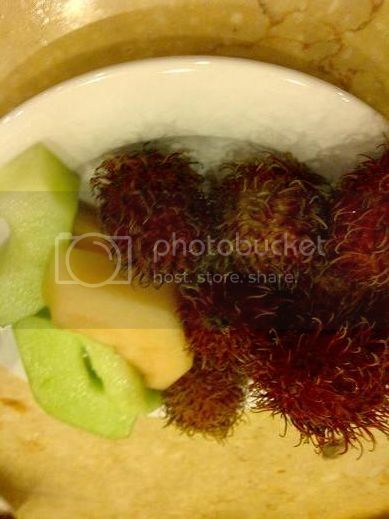 Last but not least Rambutan. I had to fight an old lady for the last one. She looked king of disappointed that I got the last one. ^^That looks soo good. I don't like crawfish though. It is a hassle to eat. ^ Wow! It always amazes me how you always have so much fine delicious looking food, going out or at home. Sometimes all I have to eat is mì goí and some stuff from my yard. Crawfish is the new trend. Need to get with it. Some people can eat 10lb of crawfish at a time. Can you imagine any food that you can eat 10lbs worth? Lol, stuff from your yard is organic and healthy. I can eat 10 pounds of durian. 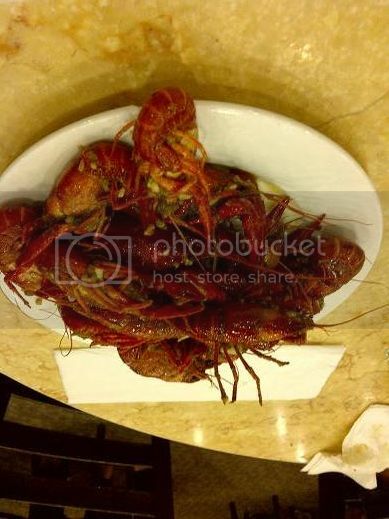 When I first ate crawfish, I just ate the whole thing with the shells and all. It was too much work to bite off the head and get the little bit of meat. Yeah, the organic stuff in my yard is pretty health, especially the worms. Somethime I bite into something that tastes bitter and I dare not spit it out to take a look at it. I just swallow it whole because I heard insects are very nutritious. Once you get the hang of opening the crawfish it's quite addictive. Over here, you're considered a savage if you don't know how to eat crawfish like a savage. Eww. I guess if you don't see it, it can't disgust you. Vietnamese people in the north eat that silk worm called nhong. My mom made it before but I was too scared to eat it. 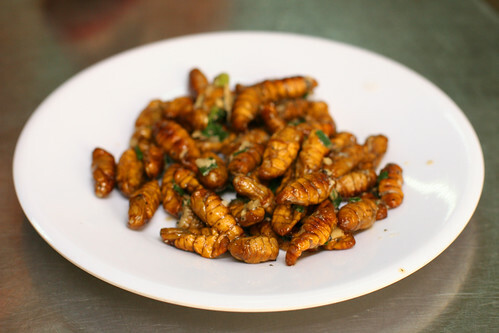 I ate that silkworm larva before, a long time ago when my grandma made it. I was too little to know what it is, so I just eat it. If I can remember right, it's tastes reaaly disgusting with the guts and bladder popping out in your mouth, then the juices would squirt out of your mouth. I think it's kind of like this. 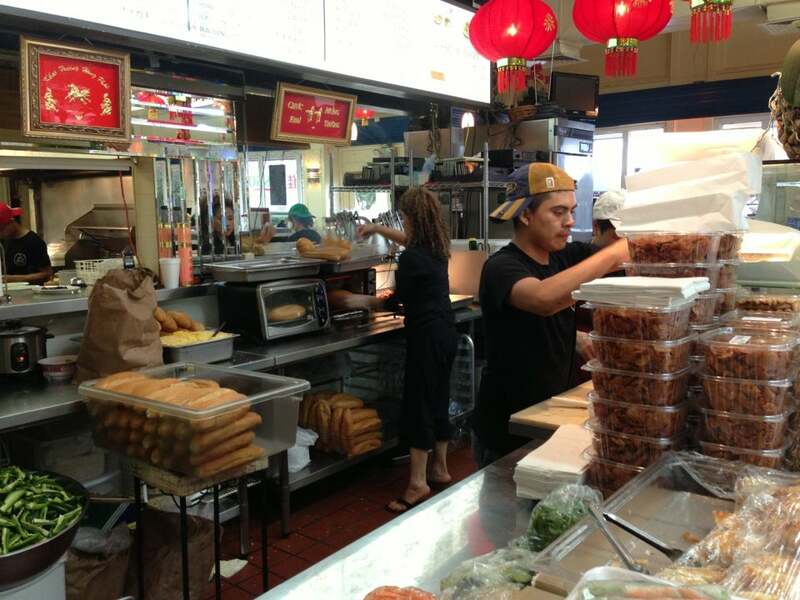 I bought 5 'banh mi thit nuong' and 1 free one yesterday. Looks so dry. Was it good? It's kind of dry because they baked the bread. But there is butter under there and the meat is juicy. Maybe it looks dry because of the vegetables on top. Tasted OK, not good than normal. It was at this place. That's the mean lady who teased me when I left $700 on the counter and walked out. I called back and she wanted a 10% cut for the return. I said there's only $1 in there so she gets 10c. Jack Daniel Ribs, Shrimps, and Thai Chicken appetizer.